41,93 € прибл. 3.017,78 руб. 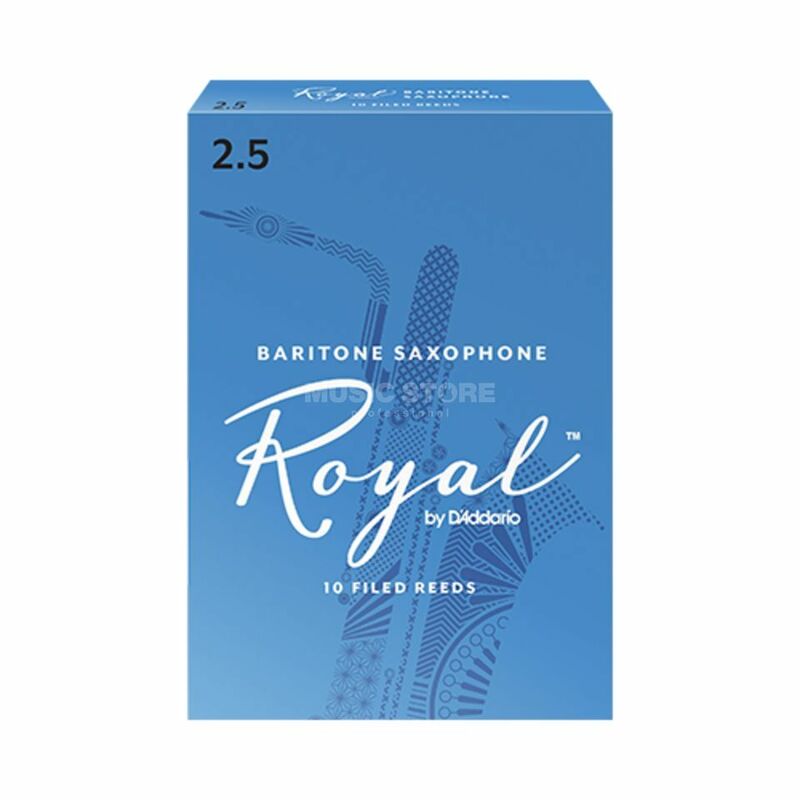 The Rico Baritone Saxophone Reeds 2.5 Box of 10 reed combines the features of the traditional Rico cut with a French file. Designed for advancing players, Rico Royal offers an even response across the registers and more clarity in the sound. Rico's updated reed-making machinery and state-of-the-art process have made today's Rico Royal reed more consistent than ever before. Rico Royal reeds are offered in a wider strength range than Rico "Orange Box."